BENGALURU: Large companies are seeing sense in employees working out of a co-working space near their homes, as urban commutes are getting longer. Co-working spaces like CoWrks, InstaOffice, 91springboard, Awfis finds that up to 40-50% of their space is now occupied by SMEs and corporates and not just startups. “When you enter a corporate office, you will easily find more than 50% of the space is vacant and the remaining is either under or over utilised. 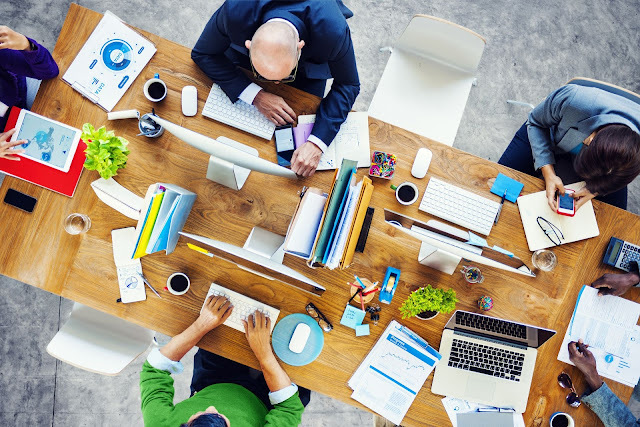 Also, the teams in corporates are gradually getting smaller and more collaborative which is one of the reasons why co-working spaces are becoming preferable,” said Vikas Lakhani, co-founder of InstaOffice, a co-working space startup. Companies such as GE, Dr Reddy, Accenture, Digital Ocean, ReNew Power and Paypal, alongside industry associations such as Ficci and foreign companies looking to set up base in the India, are opting for co-working. Alibaba recently took 30 seats in Bengaluru-based CoWrks to start its operations. “Many foreign companies who are trying to understand the Indian market are finding such spaces quite convenient as everything is already setup which becomes hassle-free,” said Sidharth Menda, CEO, CoWrks, citing engagement, networking opportunities and community value. New York-based DigitalOcean finds that a space like CoWrks which focuses on building helps the company develop stronger bonds with startup communities. Being centrally located in Bengaluru, the centre also helps the team travel via the metro network easily. Amit Ramani, founder, Awfis, said, “Our branch locations render a flexibility to the employees and allows them to work near their homes which saves a lot of time and adds productivity.” He added that expenses were reasonable and all amenities were available. Accenture rented out a dedicated space in Awfis’ Bengaluru centre to seat its Redcore team for around six months until they were moved to Accenture’s premises. The IT company had acquired the Australian security company Redcore last year. Accenture to comment on the move. “Being in a co-working community has helped imbibe the 'startup' culture in the team,'' said Prasad Kolachana, director, Rand Software, a member of 91springboard in Hyderabad. Kamran Khan, vice-president (HR), Amazon India, said, “At Insta-Office, we get ample space irrespective of the number of candidates who come in. (They) can get here easily." Varun Chawla, co-founder of 91springboard, said, “We have a lot of partnerships with corporates such as IBM and Amazon, who are always looking for startups. This becomes easy for them to scout for early-stage startups to collaborate.” Chawla said prerequisites for companies vary and for several, a conventional office space becomes an additional overhead.